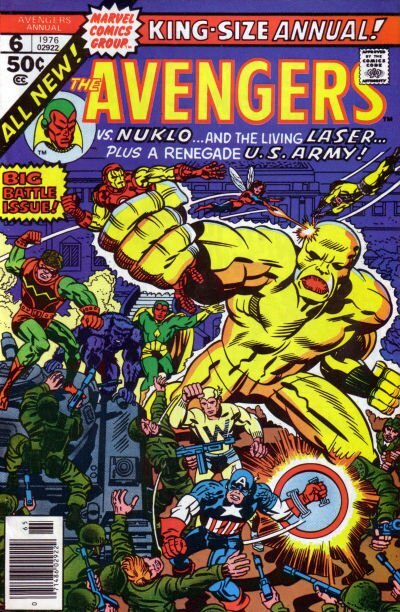 Click Here To See Avengers Annual #6 Comic Book! 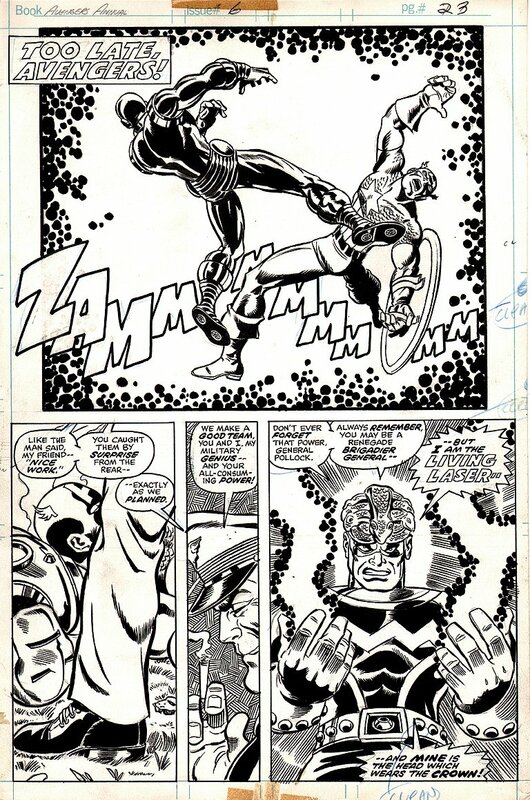 Check out this very nice semi-splash page which was penciled by the great George Perez, and inked by John Tartaglione, from the story titled: "No Final Victory!" This nice page features a HUGE hlaf SPLASH with Iron Man and Captain Amnerica being BLASTED by..... THE LIVING LASER! Just a great page here!